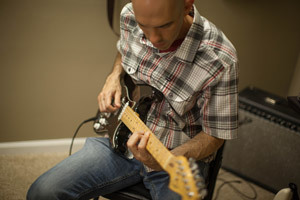 The Hughes Music Company is located in Mint Hill NC. 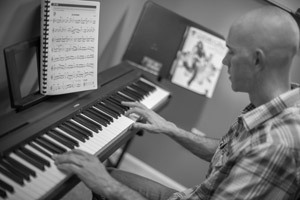 Just minutes from Matthews NC and Charlotte NC, I also teach private piano lessons to the surrounding areas of Indian Trail NC, Monroe NC, and Waxhaw NC. Here at the Hughes Music Company you will receive only the highest quality piano lessons at an affordable rate. I am a certified instructor with a Bachelor’s in Music Education. With over 13 years of experience, I teach beginner to advanced students and I even work with professionals. Home school piano lessons are also available to the home school community with time slots that will fit their schedule. Sight reading, ear training, and music theory are part of the curricula that is tailored to your student’s individual needs. 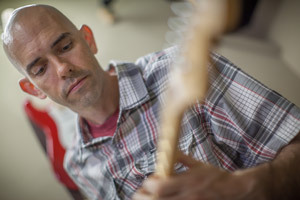 Blues, rock, jazz, funk, country, reggae, contemporary Christian, and singer-songwriter, I can accommodate any genre and teach all ages from children to adults. Give me a call to schedule your piano lesson.